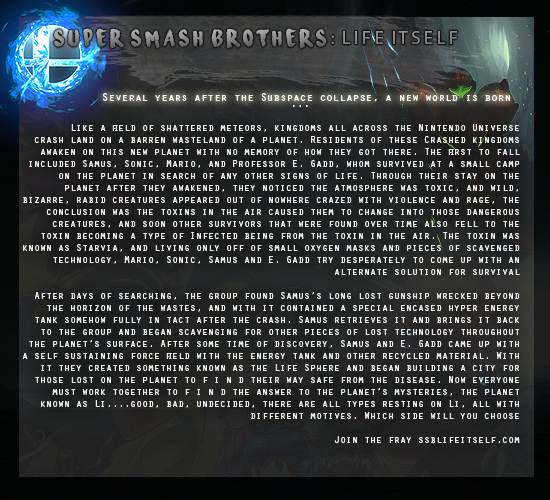 Super Smash Brothers: Life Itself - D&D Lite Crossover Site! Login>> SSB:LI - D&D Lite Crossover! - A forum coin system! - An interactive alignment and decision infrastructure. What you do effects us all! - Trading and merchant shops. An endless roster of characters and colorful players from all over the Nintendo Spectrum!